Hello there. Let me guess… You want to give a try to online consulting, but no one explains how to find clients. 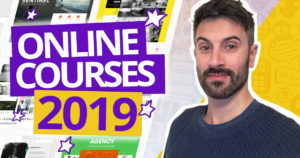 I mean, you can easily get an answer… If you decide to buy an expensive online course! In this article, I’ll show you the 3 step method I called ARC Strategy, that I use to get new clients every month. A warning before we start. Don’t approach this article lightly. Watch it till the end and stay focus, cut any distractions and take notes! Why? Cause if you want to succeed with online consulting, this strategy works. But you need to apply it exactly as I’ll explain in this article. The strategy involves 3 steps. You need to create a short video (between 1 to 5 minutes) relative to a significant problem for your audience. 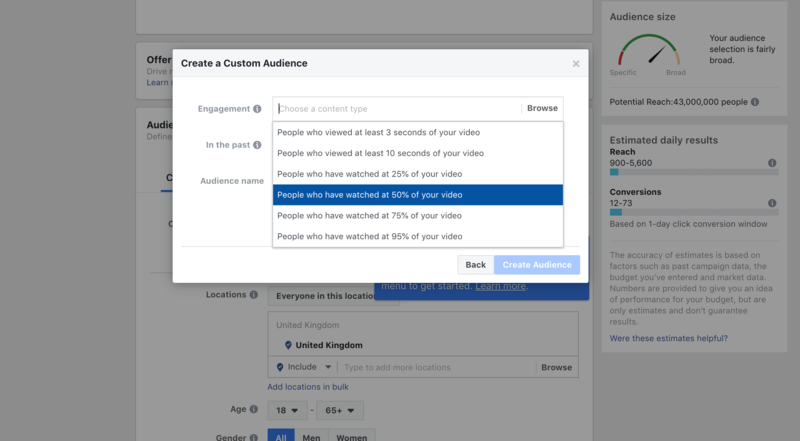 In my case, I cut my short videos out of the long Facebook Live I do once per week on my Facebook page, but you can film a new video ad hoc. 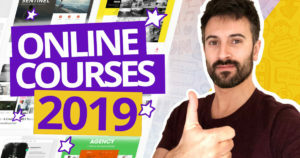 I don’t know which is your niche, but in my case, my videos revolve around creating an online business. 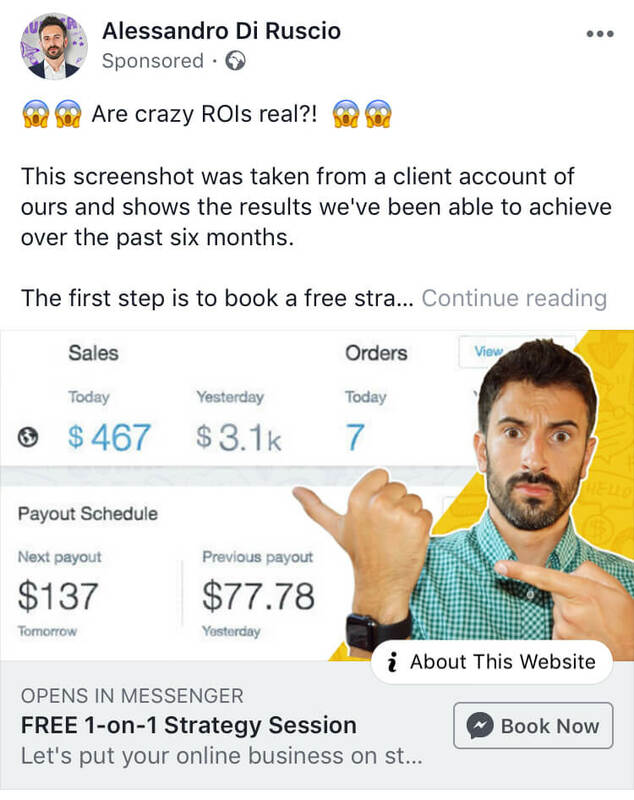 I promoted videos like “How to quit your job and start an online business” and “here’s why your Facebook ads don’t work”. A few examples from clients I’m following at the moment. 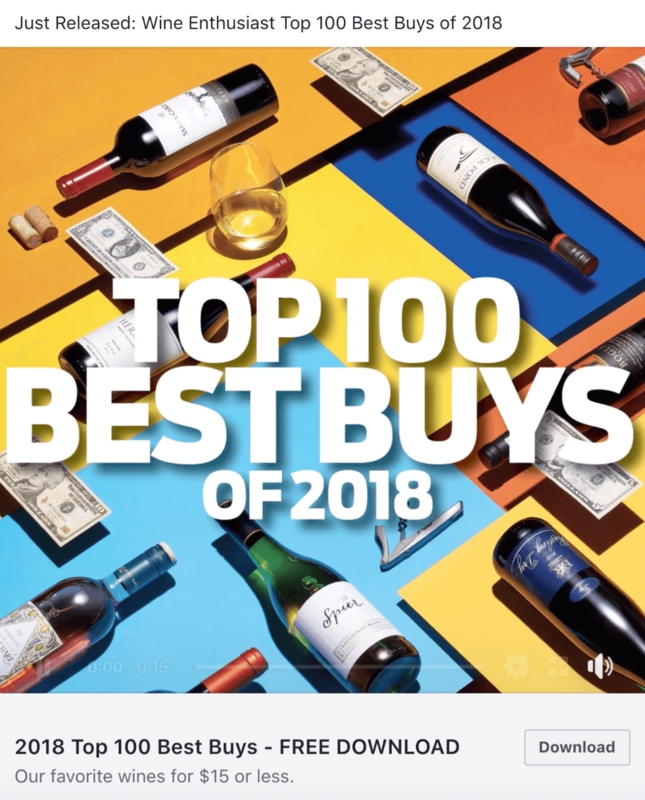 One is a wine sommelier that gives consultations on how to become a wine expert, and he has a short movie on the top best buys for 2018 for 15$ or less. Another client is a couple adviser, and he has a video on the most common problems in a couple. The important thing is that this video is quick to consume, and it has good content that could be informative or entertaining. It has either to teach something or entertain your audience. Why do I use videos? Facebook is a content network. 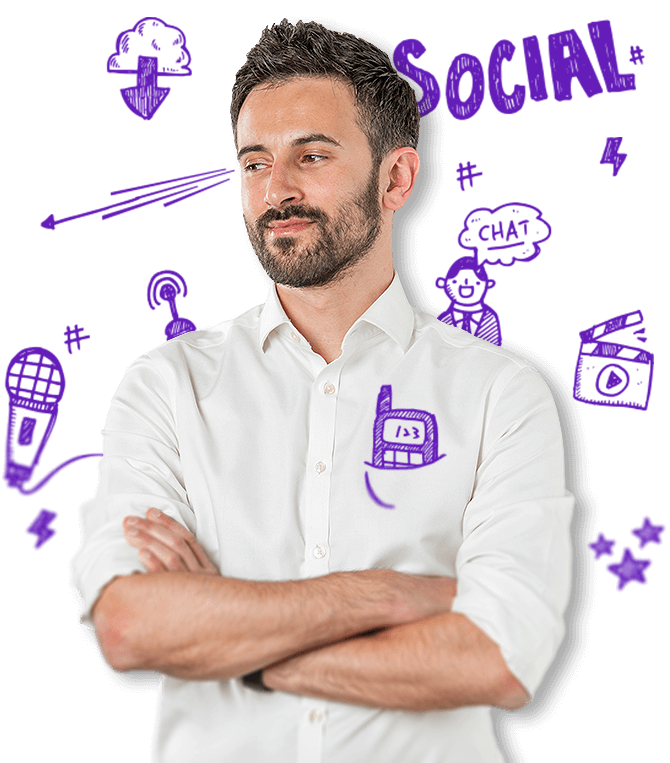 It means that the best way to promote your brand is to add content that will keep users on the platform for longer. 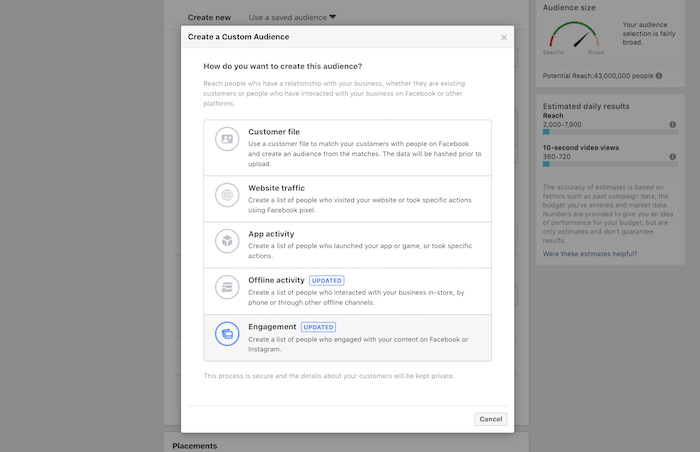 If Facebook sees that your ad is keeping users on its platform instead of redirecting them outside, it will promote your ad even more at a lower cost. 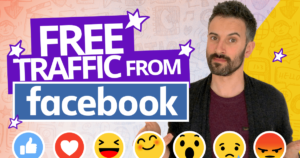 At the same time, your audience will prefer to consume content staying on Facebook, instead of jumping to another website. 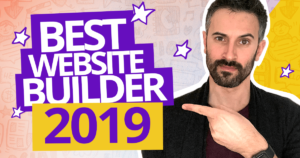 Now, there are fundamental rules you need to follow to create your video, regarding size, copy, graphic text, call to action… I won’t get into details of this, or the video will definitely be too long. I’ve listed all the properties your video needs to fulfil, in a document that you can download below. The video by itself isn’t enough. Now we need to create a lead magnet (that I call content upgrade) to enrich the video topic. Since you can’t cover the entire problem in a few minutes, your audience will go into depth on the matter thanks to your content upgrade. 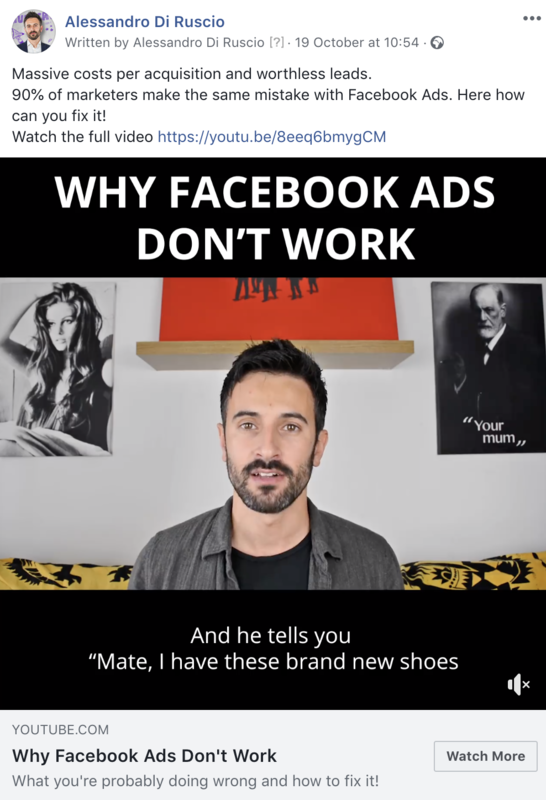 On my video “Why your Facebook Ads don’t work”, I talk about the reasons why your ads fail. In the pdf instead, I explain how to fix them with text and screenshots. If you don’t know what to put in your content upgrade, you can recycle what you already have. In the ad from the wine sommelier I addressed above, he offers a pdf with the list of wines he showed in the video. You got the point: the short video is meant to attract the attention of the users and create awareness about you. Probably they’ve never seen you before, and now they know your face or know your brand. 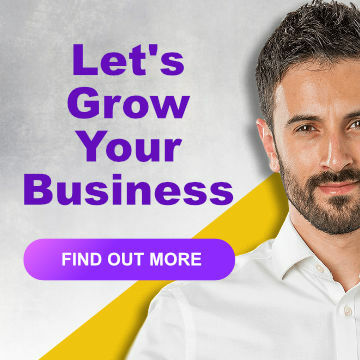 The additional document is not just to grow your email list, but mostly to confirm your authority. An “about me” page at the end of the doc, where you add your bio. Download the document above, and you’ll find both these things through the pages. Obviously, you need to create a landing page where your viewers can download the document. But what if you don’t have the technical skills to create neither a landing page nor a downloadable pdf? If you don’t have any friend who can help you with design and technology, you can use a few options. I use it to create all the PDF documents connected to my videos. 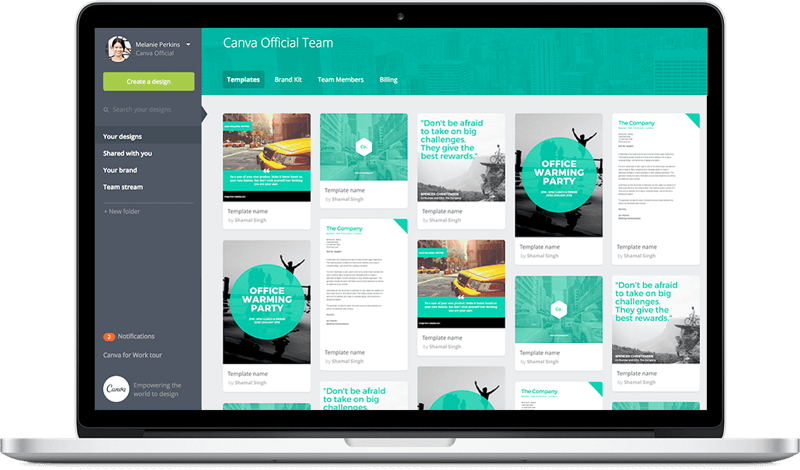 You don’t have to come up with a design for your docs, cause Canva has a good library of templates you can use. To build the landing page instead, there are different options. If you use WordPress for your website, your #1 solution is Elementor. It’s the best tool out there to create drag&drop webpages. In this case, as well, you can use pre-made templates for your landing pages. 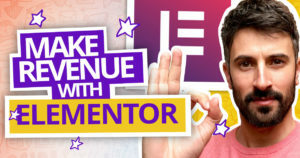 Elementor costs 49$ dollars for a single website, and it’s not much considering what you get. It’s definitely one of the best investments I’ve done for my business. To deliver my docs in exchange for the user’s email address, I use Thrive Leads. If you want to grow an email list, this is a must-have. It allows you to create popups, sticky banners, widgets… It’s a life saver. Again, Thrive leads isn’t free. You can get a license for 67$. I know all these things aren’t cheap, but the truth is that creating an online business needs investment. You won’t reach any result if you don’t accept the idea that you need to spend money to make your online business work. Always add your facebook pixels to your pages. It will come in handy when you want to retarget people who visited your website. Now that we have everything settle, it’s time to promote your ad. Be aware, never use the “promote” button below each post. That button is evil, it kills puppies without a drop of regret! Stay away from that button cause it will just make Zuckerberg rich and you miserable. Promote your post instead from the Ad manager. Since we want our video to be viewed as much as possible, the marketing objective we need to choose is “Video Views“. Regarding the daily budget, 10$ per day will be enough, and we’ll keep the ad running for at least 3 days to collect all the data we need to work with. After the 3 days having the video ad up and running, we collected enough data to create a warm audience. In this case, the warm audience is composed of the people who watched at least 50% of the video in our ad. We retarget this segment and we’ll propose them a free 30-minute consultation. Why are we offering a consultation just now? Cause no one who’s never seen you, would book a consultation with you, even if it’s free. They don’t know if you’re an expert. They simply don’t trust you. The warm-up ad was meant to create trust. 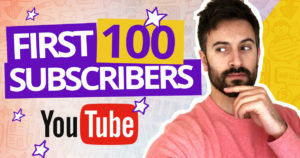 Now it’s the moment to propose a deeper connection with the people who watched your video and hopefully downloaded your content upgrade. But be aware. They may know you a little better, but this doesn’t mean they think you’re an expert. That’s why we offer them a free consultation, and not a paid one. Let’s get into the ad creation so. 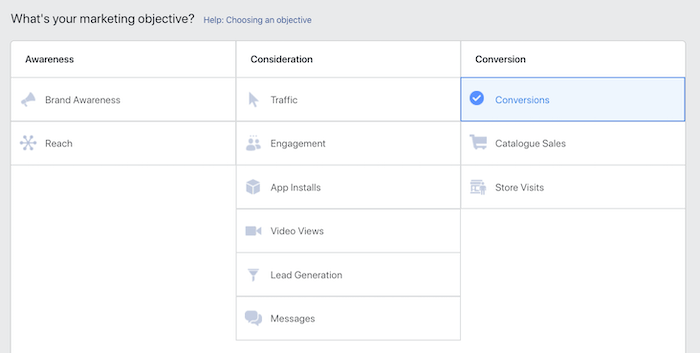 The marketing objective you need to choose is “Conversion“. You want these people to click on the button of your new ad and book a time slot with you. In the Audience field, we need to create a new audience filled with all the people who watched at least 50% of our video. Click on “Create New” and choose “Custom Audience”. In this last screen, you’ll be able to choose the audience who watched at least 50 seconds of your video. Regarding the ad style, there is no perfect scenario, and it’s all about testing. I had good results with video ads as much as with images and titles. In this stage, it’s paramount to show a proof of the result your clients could achieve because of your consultation. You can do it either via video, or simply via image. 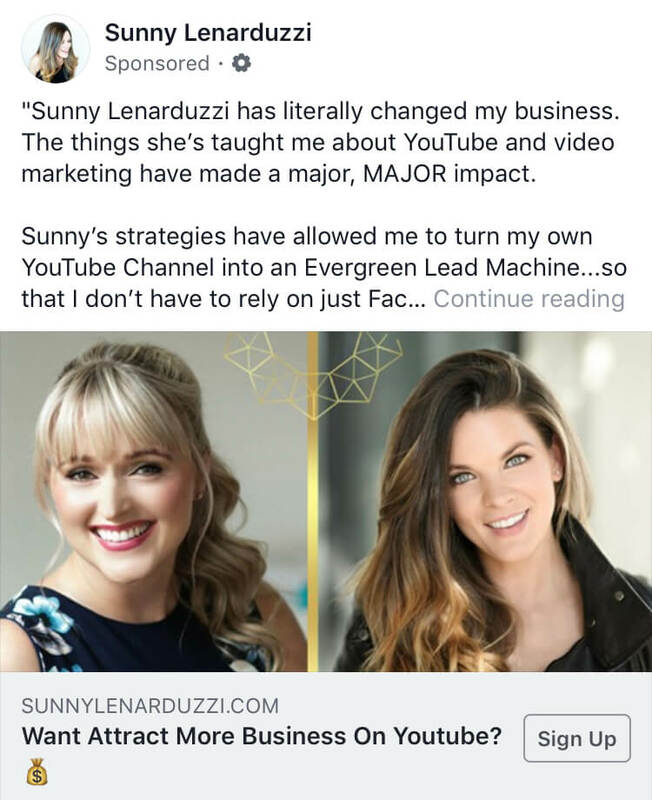 You can use the quote from a testimonial, as Sunny Lenarduzzi does in her ad here. Or you can use a screen that highlights the result your client can achieve, as I’ve done in the ad below. In both cases, we added our faces, so the audience can recognise us from the first video. It’s important as well to highlight that the 1-on-1 consultation will be free. The title I use for example is “FREE 1-on-1 Strategy Session“. Find your title and write it down in the header. The call to action button needs to be linked to a booking tool, and I use Calendly for this. Calendly is totally free if you use it for a single type of event, and allows you to set your availability and creates a landing page where the user can choose the time to talk with you. After they requested their 30-minute spot, then you can use Skype to make the call. Many marketers do the mistake to stop at Step 2, and they miss a lot of others users who could still become customers. Not everyone will be ready to schedule a call with you after your booking ad, and many will visit your Calendly landing page and get cold feet. That’s the reason why you need to give your audience a different way to get in contact with you. 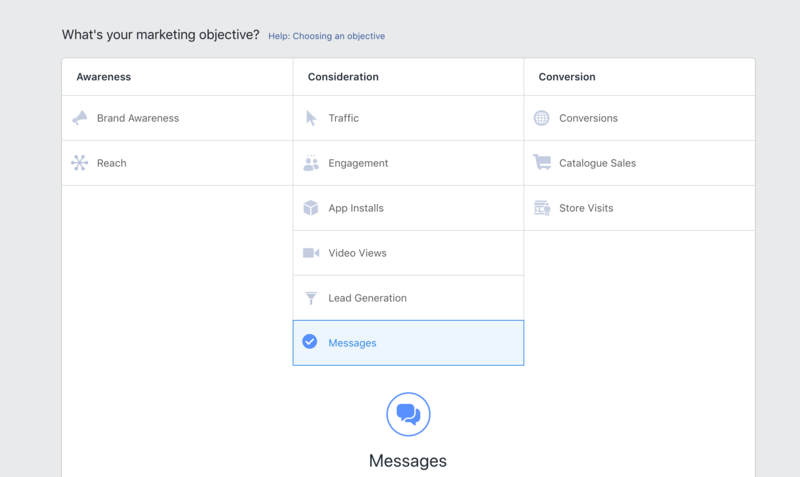 In this case, Facebook Messenger is the simplest way to connect without leaving Facebook. The button below the new ad will automatically open the Messenger window. Let’s create it. In this case, the marketing objective is “Messages” cause you want people to write to you. Then you need to retarget the same audience you targeted with the previous ad, the people who watched at least 50% of your first video. 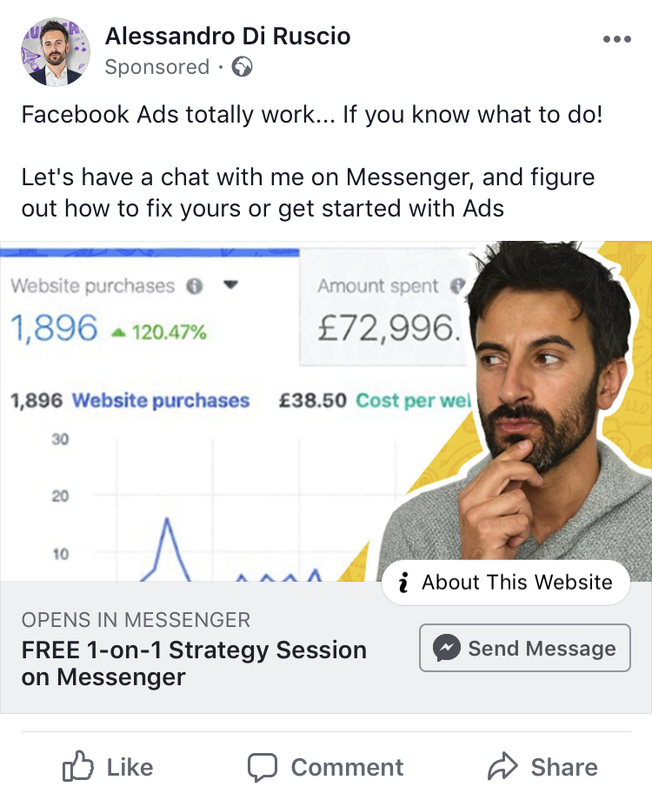 And at the end, add a Messenger button to your ad. Since you won’t be 24/7 on Messenger to reply to the messages you get, you need to use a tool that provides a “waiting list”. I personally use Manychat, that allows you to create an automation to warn the user that you will reply as soon as possible. At the same time, Manychat will store the list of people who messaged you, as it happens with an email list. Let’s summarise the 3 steps you need to go through to make this method work. You give the possibility to reach you via Messenger to whom watched at least 50% of your video. As I stated before, the method doesn’t work if you miss one of these steps. If you want to have the entire method on paper for the next time you decide to create your ad strategy, I’ve summarized everything in a pdf document you can download below. For the rest I’d like to know what you think of this method, and ask me any question in the box below.